Seat Leon SC Performance, Engine, Ride, Handling | What Car? Our recommendation is avoid the 123bhp 1.4 TSI petrol and make a beeline for the 148bhp 1.4 EcoTSI instead. It’s our favourite engine in the range thanks to its free-revving nature and sprightly performance; because it can shut down half its cylinders when driven gently, it’s pretty efficient, too. Even more powerful petrols are available, from the 177bhp 1.8-litre unit to the 296bhp 2.0-litre in the Cupra 300 model. The former doesn’t feel that much quicker than the 1.4-litre, but the latter is seriously quick, with enough pace to keep up with the fastest hot hatches. The diesels offer good low-end grunt for relaxed progress and the best is the punchy 148bhp 2.0. If that’s not enough, the 181bhp version has even more zip. 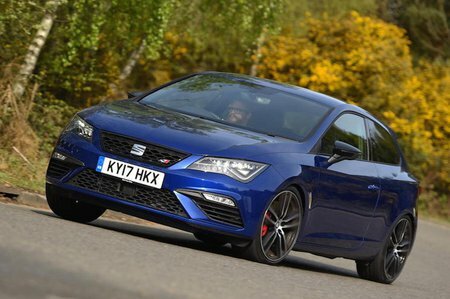 Most versions - bar the 181bhp 2.0-litre diesel and the 296bhp Cupra - have quite a basic suspension set-up. This delivers a noticeably firmer ride than a VW Golf, for example and means the SC rarely stops fidgeting, even at speed. With a more sophisticated suspension the 181bhp 2.0 diesel is better, and if anything, the high-performance Cupra’s ride is the most impressive of the lot. This has adaptive dampers, so while its undeniably firm it’s also better controlled, and set to Comfort mode is still surprisingly cosseting for a focused hot hatch. All editions keep body roll in check and stay impressively flat through corners. 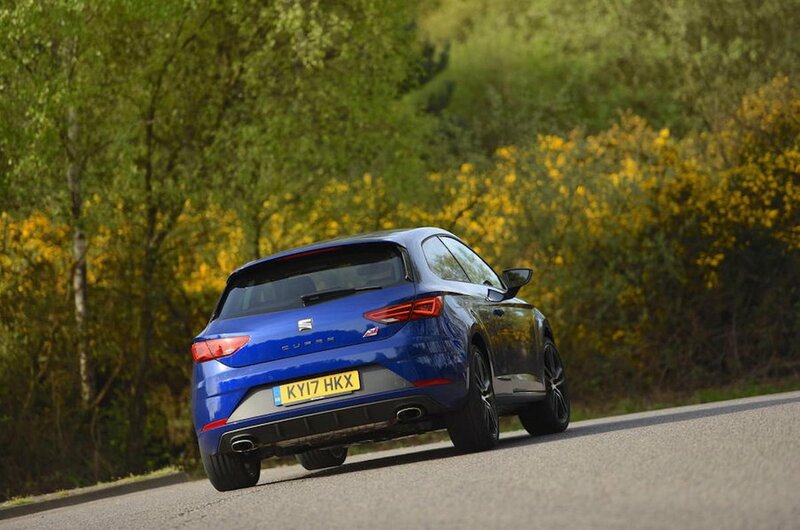 The Cupra is particularly impressive in this regard; it has huge amounts of grip through a corner and clings on limpet-like, although it tends to spin up its wheels when accelerating out of tight bends. Every Leon SC has nicely weighted, precise steering that helps make it easy to place accurately in bends, although more feedback would boost confidence when the roads are slippery. The Leon SC’s engines are a touch more raucous than its VW stablemates if you rev them hard. Wind and road noise are the main gripes at motorways speeds, though. The standard gearbox is a slick-shifting six-speed manual unit, while the DSG automatic gearbox is smooth enough most of the time, but can be a bit clunky at low speeds.